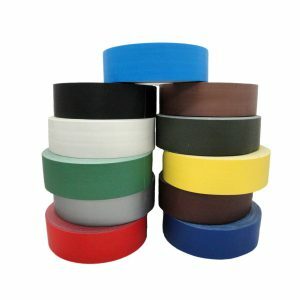 Low-density polyethylene film tape. Acrylic and rubber adhesive. Highly conformable. Good abrasion and chemical resistance. Outstanding moisture barrier properties. 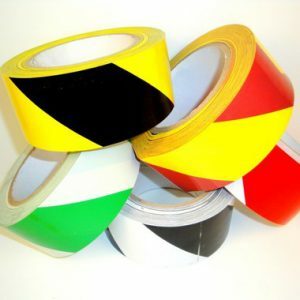 Acrylic based pressure sensitive adhesive system provides high adhesion and cohesion which yields a permanent bond with virtually no edge bleed out. UV resistant. Excellent long-term aging stability without yellowing. Will not crack or crease at low temperatures. 3? plastic core. Adhesion to steel ? 56 oz/in. 8 COLORS AVAILABLE: Optically clear, black, green,?orange, red, blue, white & yellow.